Summer is a time to relax, reconnect and spend time in community. But it can also be a good time to get ahead on your coursework. Taking courses over the summer can help you graduate on time or provide a jump start for the fall semester ahead. Many summer courses are even offered online and can be taken from anywhere. Here are five tips to succeed in online summer courses. Online courses are often viewed as an easy route to completing a course that is more rigorous in a regular classroom setting. However, online summer courses are typically more accelerated than regular semester courses – the same material is covered in half the time of a regular semester. Despite the condensed time frame, taking a summer class you really love will allow you to fully immerse in that subject, giving you the time to explore the course content more deeply than you might in a regular semester. Just be sure to consider your summer plans and the timing of the class so you are able to dedicate time to the course. If you take an online course this summer instead of an on-campus course, you will have a wide range of choices and flexibility. Enrolling in an online class allows you to complete the course while living in another state. Or if you have a summer job with odd hours, you can study when it’s convenient for you. This flexibility allows you to work on self-discipline and organizational skills – two great skills that carry over to your regular semester courses in the fall. However, if you are taking an online course, you lose the accountability of attending class, participating and having designated study time with friends. Make sure to block time in your calendar each week to study and complete the required assignments. Treat this time as if you were sitting in a regular class, and eliminate distractions by putting your phone away. Before the class starts, make sure you have access to the needed materials and online tools. It is important to have laptop in good working condition, access to reliable Wifi and a quiet space to study. Designating a specific study location can put you in the right mindset and help separate study time and downtime. Try creating a designated study space in your room, or if you need to get out of the house, try studying at a local public library or coffee shop. Remember, professors of online courses are not able to read your body language or see the expression on your face online. It is important to ask for help if you need it. Professors are willing to assist, but they may not know when to offer a helping hand. Although there may be some distance between you and your classmates, you are digitally connected to people with rich experience and backgrounds. Take advantage of this opportunity to connect with classmates via discussion boards or messaging on Canvas. Use this opportunity to work on a test study guide together or ask a classmate your question before asking the professor. Connecting with fellow online students can enhance your overall learning experience. View the variety of options for summer courses at Biola, many of which are fully online. 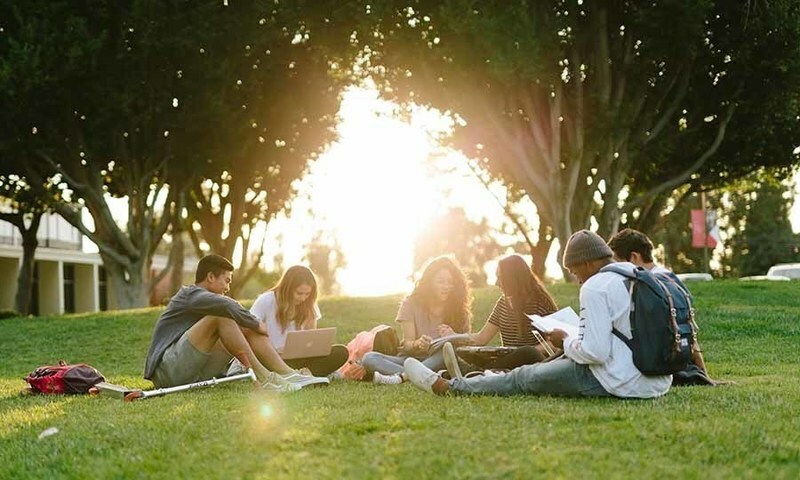 If you are thinking of taking a course through an outside institution over the summer, be sure to consult the Registrar’s Transfer Equivalency Tool to guarantee your class will transfer into Biola. The Advising Center can help you plan for a productive and successful summer.